Tea Is Brewing In Milwaukee - Ambassadors of World Food Tourism. 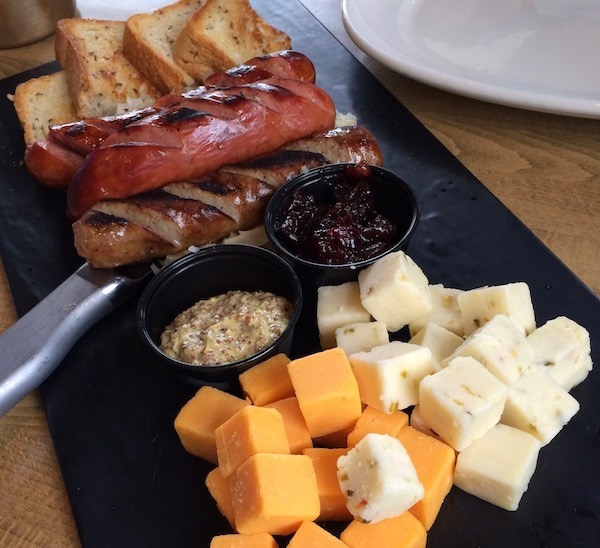 When you think of Milwaukee, Wisconsin you immediately think of beer, sausage and cheese. 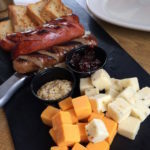 While all these delicious things are certainly a big part of Milwaukee they are far from the only tasty treats in this up and coming Midwest all-American city. 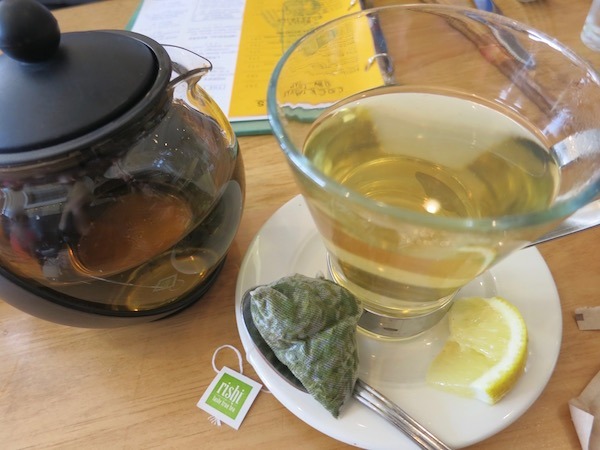 Avid Food Travelist readers know that I’m a tea drinker. Somehow I never picked up the coffee habit. When I was growing up my Mom and Grandmother drank a lot of tea and passed their passion along to me. I have to admit that much of my early tea was the yellow label Lipton (which still brings back good memories every time). As I grew up and started sampling other teas I was quickly hooked and now have several cabinets loaded with teas from around the world. Imagine my surprise when we were visiting Milwaukee and I discovered how many teas originate from our Chicago neighbor. 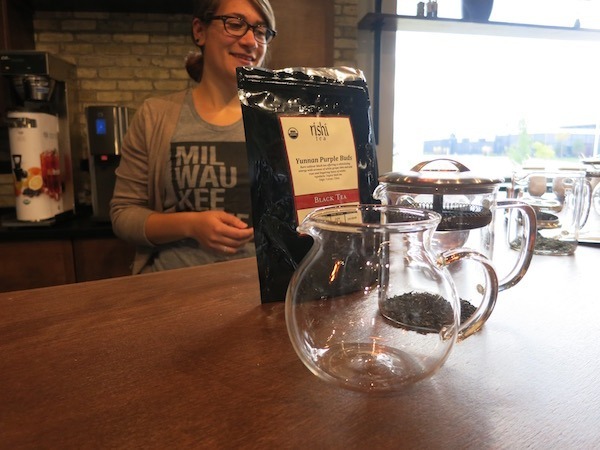 Here’s a quick look at just a few of the tea choices brewing in Milwaukee. 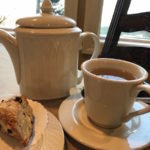 Whether you’re looking for a spot to have a delicious cup of tea, a place to buy tea to take with you or a site for a tea tasting Milwaukee has you covered. Rishi means “one who is a seer, sage, or seeker of truth” in Sanskrit. At Rishi they take tea to another level with all their organic teas. Rishi Tea was born in Milwaukee in 1997 when it dawned on entrepreneur Joshua Kaiser that the interest in coffee and wine might just mean that Americans would also find the fine flavors of tea alluring as well. It turns out he was right. Joshua’s interest in travel and culinary classics make him a great friend of Food Travelist. He travels around the world to source the best organic ingredients and teas. We had the chance to visit Rishi’s state-of-the-art 32,00o square foot world headquarters and tasting room in Milwaukee and were really impressed. The facility is organized to ensure that the tea storage meets very stringent organic food safety standards and protects the aroma segregation. It’s quite an involved production. Who knew? 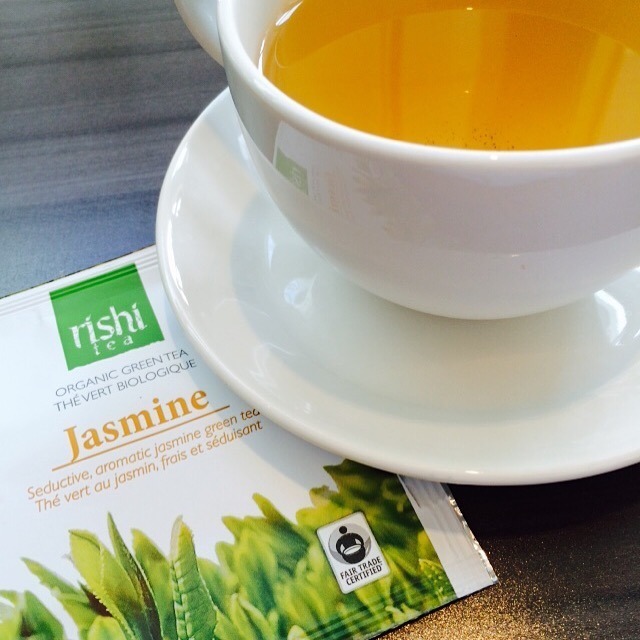 You may have seen Rishi teas in fine dining establishments, cafes, coffee shops and retailers like Whole Foods. What we found really inspiring is the local Milwaukee restaurants that serve Rishi too. One of our favorite breakfast spots BKC Milwaukee carries a full line of Rishi Teas. Rishi carries loose tea and bagged tea. Many serious tea drinkers only drink loose leaf tea but Rishi’s new filter mesh bags made from plant-based resources are definitely worth a try. The looser weave of the bag raises the infusion quality and makes for an excellent cup of tea. Watch the super short video below for more explanation. My favorites from Rishi are Tumeric Ginger, Tangerine Ginger, Sencha Green Tea and Green Tea Jasmine. They also have a full line of Matcha tea if you’re like me and have to have your cup of Matcha every morning. When you first meet Nick Nowaczyk you immediately understand why he’s in the tea business. He loves tea and he loves the benefits of teas. Even as a small boy Nick was picking flowers, berries and mushrooms at the family cabin in northern Wisconsin. In a search to discover a cure for a cold he was suffering through Nick began experimenting with natural remedies and healing. Shortly after, he began selling his tea blends to friends, family and at farmers markets. What makes Urbal Tea really different is that it’s made from dried herbs. All “teas” are caffeine free and loose, not in bags. Urbal Tea has three lines – Apothecary Blends, Herbal Selects and Wellness Blends each carefully designed for a different purpose. For example, Free Flex is an herb mix that helps bring moisture and flexibility to joints and enhances range of motion. After Dinner aids in digestion with a mix of peppermint leaf, ginger root, fennel seed, raspberry leaf, nettle leaf, orange peel, rosemary and licorice root. Whether or not the herbs actually help with any conditions, the FDA won’t say. But we can say that enjoying a warm cup of herbal ingredients is a calming and relaxing habit at a minimum. 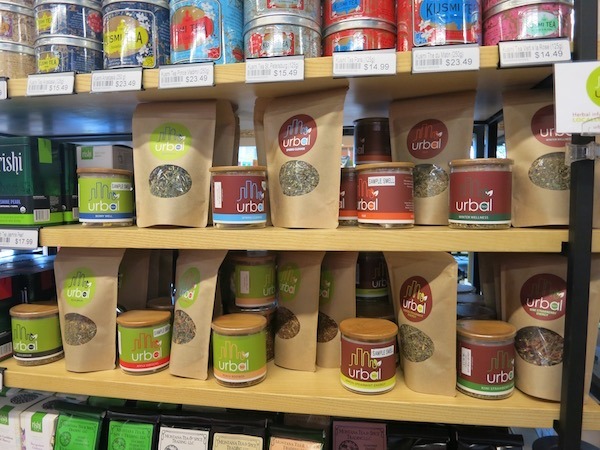 Urbal Teas are sold in several retail stores in Milwaukee and throughout Wisconsin including Beans & Barley, which we just love. 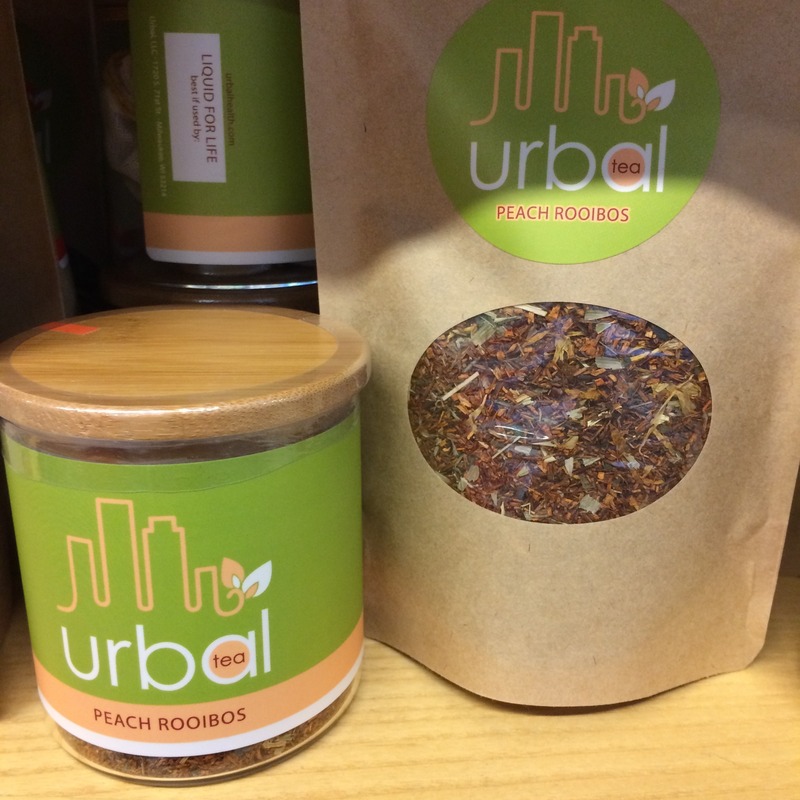 Stop in pick up some Urbal Tea and check out their fun store and cafe while you’re there. You can also order Urbal Tea products on their website urbalhealth.com. 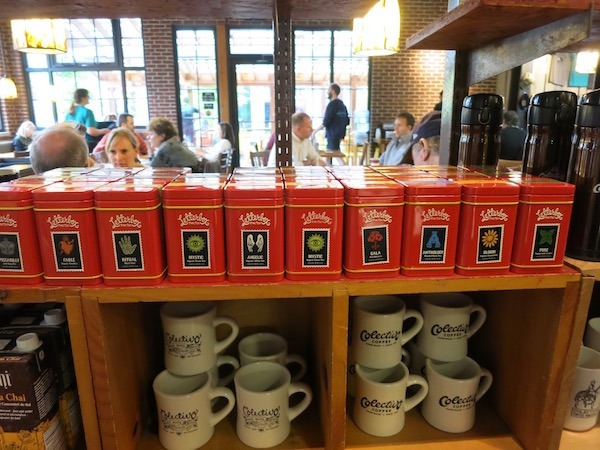 Many coffee drinkers may know Colectivo for their hand roasted award-winning coffee and scratch-baked taste treats from their own Troubadour Bakery. Their name might sound familiar to travelers of Latin America. “Collectives” are the multi-color creatively decorated public transportation buses used throughout the region. The buses represent a regular part of life, which is what Colectivo Coffee wants to encourage for their customers. They strive to build enduring relationships with their customers with quality products and relaxing comfy places to enjoy life. Colectivo in Milwaukee grinds their own coffee on premise. 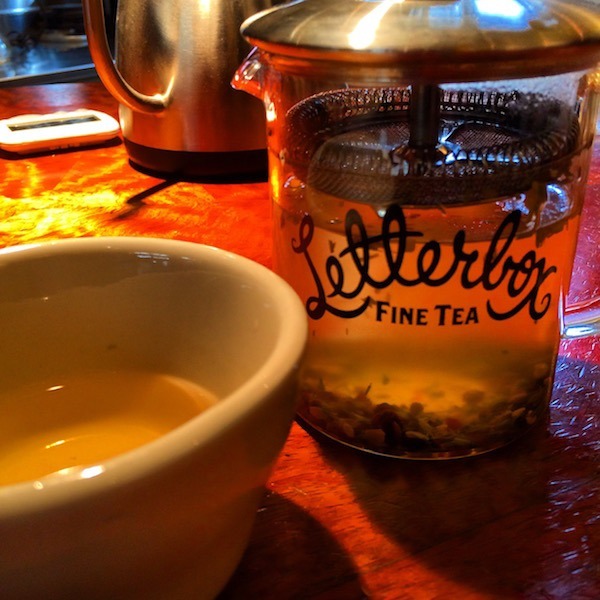 If you’re a tea-drinker you need to check out their Letterbox teas. 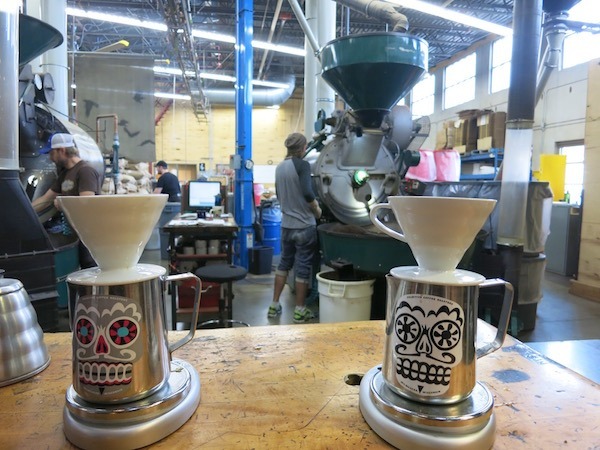 All are hand selected and crafted especially for Colectivo. Black teas, green teas, white teas, herbals and organic teas are all available for the tasting. Lots of tea to choose from at Colectivo. You can enjoy your beverages in one of their stores or cafes, or take tea and coffee home or for gifts. There are Collectivo locations throughout the greater Milwaukee area. Check out their website for locations and hours ColectivoCoffee.com. If you’re looking for a spot to stop and relax when shopping till you drop in Milwaukee’s Historic Third Ward check out the HUDSON Business Lounge+Cafe. When our feet simply couldn’t take us any further we walked in looking for a quick drink. It’s a shared work space that’s very cool but the Cafe is open to the public. There were lots of coffee options but when the server found out I wanted tea she quickly told me all the choices for me too. I had a Harney & Sons Sencha Tea mixed with fresh lemonade. 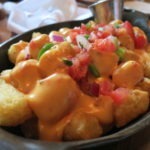 It hit the spot and had me back out exploring Milwaukee refreshed and renewed! As I mentioned in the beginning this is just the tip of the iceberg of tea tasting in Milwaukee. If you’ve got a favorite tea maker or place to have the perfect spot of tea please let us know. Many thanks to our friends at Visit Milwaukee for helping us plan our trip to Milwaukee to meet these fine tea purveyors. Check out their site visitmilwaukee.org for lots of idea on what else you can do in Milwaukee. 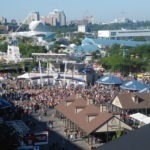 THE QUICK BITE: Teas Brewing in Milwaukee. Beer is not the only thing brewing in Milwaukee there are many teas brewing in Milwaukee too. 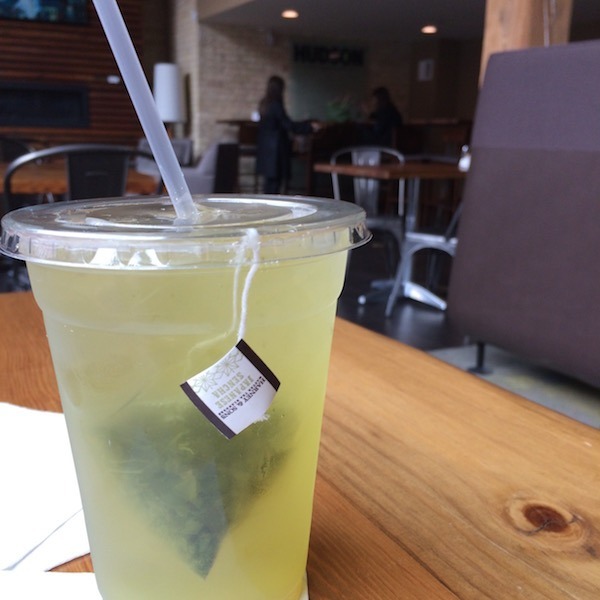 Take a quick look at just some of the teas we discovered in Milwaukee! Nice to meet another tea lover Jack! Thanks for stopping by. Tea is certainly becoming more popular everywhere. I’d like to try the Rishi tumeric-ginger tea. I’ll be looking for it. I used to live on “tea farm rd” in South Carolina. The former location of the Tea Plantation mentioned in above post. We still had lots of wild plants and I started getting into teas there by harvesting my own. Thank you for this article. I do pick up most of my tea now from the Hmong mall on Mill, or rarely Pacific Produce on Appleton. Downtown Milwaukee is usually off limits for me (Nw ‘burbs). Your post reminds me to go beyond the familiar teas and try some new ones. I used to drink tea all the time (boring Peako) and then coffee took over. What a wide assortment of teas! I’m going to keep my eye out for Rishi tea. 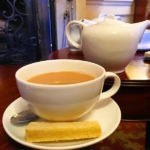 I don’t know that much about tea although I visited the Charleston Tea Plantation in the low country of South Carolina. Have you been there? No I haven’t Irene. It’s been way to many years since I’ve visited Charleston. You just gave me another reason to put it on the must-visit list. Thanks! Looks like a fun experience and tour, I would have loved doing this, but Milwaukee is so very far from me at the moment. Living the experience through your post.